NI BUZZ GANI … what’s the buzz?!? Home » Blog » Posts » NI BUZZ GANI … what’s the buzz?!? As I move around the bustling Jakaya Kikwete Cardiac Institute (JKCI)there’s a song from Jesus Christ Superstar that keeps going round and around in my head, “What’s the buzz, tell me what’s a- happening? What’s the buzz tell me what’s a-happening…” Sometimes I am feeling a bit like a bull in a china shop as I trundle around photographing all different sorts of medical situations & asking experts & patients numerous pesky questions, I am extremely grateful for the kindness and patience of every response. Asante Sana – THANK YOU! Many of our team have been looking out for me and often letting me know “you just missed a really great photo opportunity only a minute ago!” There’s just so much happening all around us I would love to be everywhere at once! Doctors, nurses, patients, parents, grandparents… in fact everyone appears to be on-the-move and concentrating fiercely on getting important medical things done whilst supporting the patients and their families. It feels impossible not to get swept up in it all and want to hear each patient’s background storyin detail. The warmth and generosity of every family I meet on the ward and in pre/post op is immeasurable. I am finding the Tanzanian’s extremely charismatic and lovable. Is this why our Open Heart International (OHI) volunteers put aside their annual leave, time away from their family and friends to work flat outfor a minimum of 12 hours each day (or night), in challenging conditions, whilst jetlagged, for free? Go figure! Or perhaps it is because they feel passionate about their vocation and simply love what they do?! Or maybe they know how lucky they are living in the developed world and want to give back? They may even share Susan David’s point of view that”Discomfort is the price of admission to a meaningful life” (Ted talk). 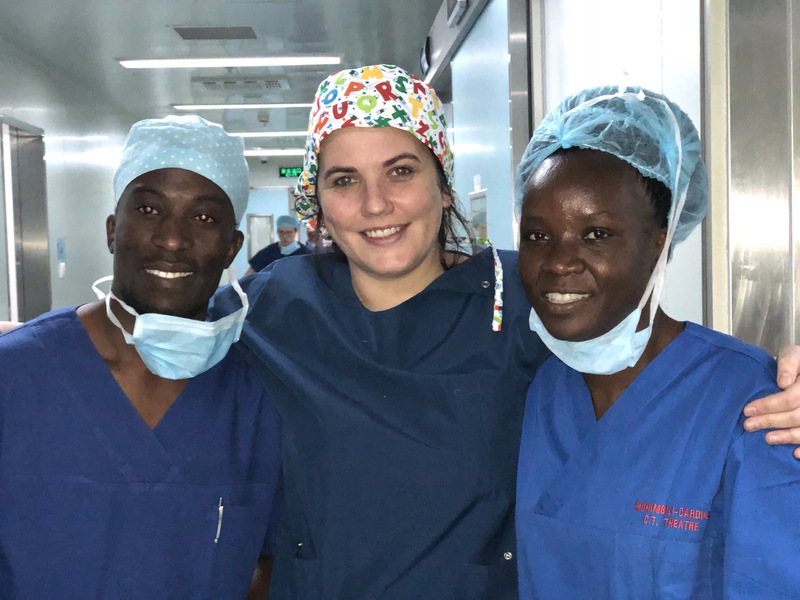 This OHI team has over 20 (of the 30) capable and compassionate GIRLPOWER surgical, ward, ICU nurses, perfusionists and a female anaethetist. It is impressive and makes me feel proud by association. I have also been impressed by the number of highly trained Tanzanian women leading their field at the cardiac Institute. I met with the first female paediatric cardiologist yesterday whilst she was treating a patient on the ward, the wonderful Dr. Naiz Majani. A remarkable woman who is one of only four paediatric cardiologists in the country (see photo). 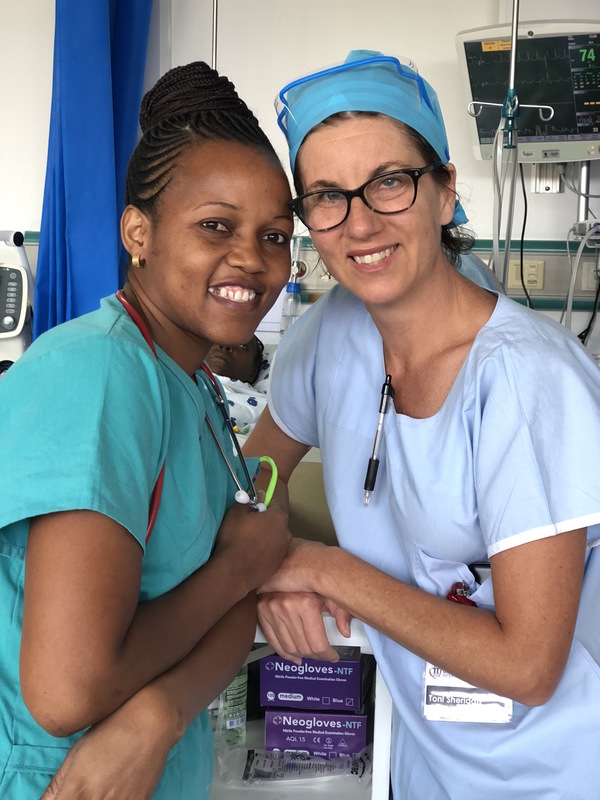 “Tinkerbell” is the nickname of the beautiful female surgeon, Neema, who is working alongside Dr. Godwin in theatre (see photo). 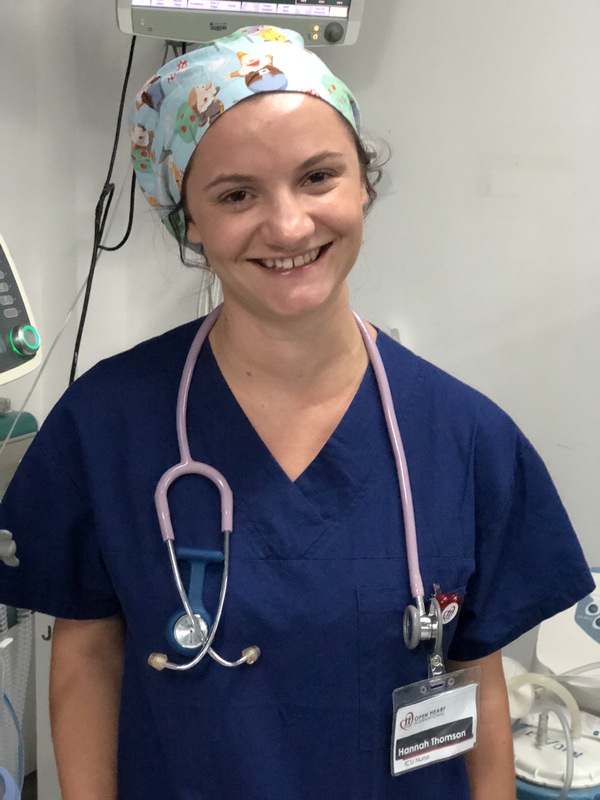 I’ve also seen an intensivist and an ICU nurse working at full speed whilst heavily pregnant and get a sense that these people love their work as it’s ‘a calling’, and they have had to overcome great obstacles in order to get the qualifications needed.